There’s no denying that we all are obsessed with our work lives, mostly because we spend so much of our time at work. But there are so many other things in the world worth knowing, worth experiencing, worth looking at which we usually miss out. So, for those who don’t find time from their hectic schedule, I’ll sometimes write about the research I’ve done for my books – something different, amazing and downright surprising, but facts mostly. Yes, I’ve been writing – am trying to get my first book published and on my way to finish writing my second. So today, I’ll write about Pune (where I’ve spent most of my life and where the plot of my first book develops) and I’m sure this info is as captivating to you as it was for me. Did you know Pune is known to have existed as a town since 937 AD? In 1637 Pune included the four Peths (localities) of Kasba, Shaniwar (meaning Saturday), Raviwar (Sunday) and Somwar (Monday). Funny, the localities to be named after the days in a week! In 1663 Mangalwar (Tuesday) Peth was added and Budwar (Wednesday) Peth was added in 1703. By the time Shukrawar (Friday) Peth was added in 1734, the population of the seven Peths was about 25,000 people. The population of Pune district on January 1st 2010 was approximately 1,05,24,224. But what really captured my attention, was the ancient underground water supply system in Pune, which is considered as an engineering marvel as it could supply water to practically the whole of Pune then, without the need for motors and pipelines, which are used everywhere in the world! The very first water supply scheme for Pune was implemented By Dadoji Kondev (Teacher of Chatrapati Shivaji Maharaj). 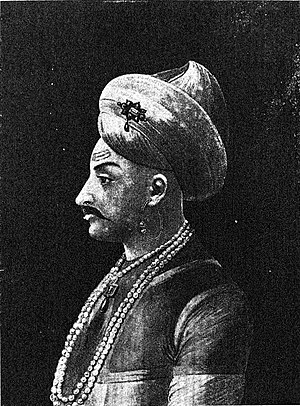 In 1750, one of the knights of Nanasaheb Peshwa, Sardar (meaning knight) Naro Appaji Tulshibagwale, built Katraj Lake to arrange for water supply of Pune city. In year 1778 Sardar Anandrao Raste brought water to Rasta Peth (named after him), from Kondhave village which is located 7 miles east of Pune. In year 1790 Sardar Nana Phadnis directed well water from Narhe Ambegaon village located 6 miles south of Pune city. He directed well-water by means of an Earthen Duct. This water was said to be of very good quality, and was being collected in a tank at Sadashiv Peth area of Pune city. Ruparam Choudhari also brought water by pipe to Shukrawar Peth and Bhavani Peth areas of Pune city. The Ambil Odha was dammed at Katraj in 1755, creating two lakes. The upper one is for settling silt, and the lower one for providing water. The course of the Ambil Odha was changed around the same time, and a temple built at Saras-baug (garden), which was a marshy area along side the odha course. The reservoir created by the damming of Ambil is the Katraj Lake which is located 10 km south of Pune city. This historic water supply system comprises huge ducts and underground tunnels originating from Katraj Lake of the city to the historic Shaniwarwada Fort, the ancient seat of the Peshwas. An earthen duct channelizes water to Pune city from the wall of Katraj Lake. This duct measures 2’ 6” in breadth and 6’ to 7’ in height. Between Katraj to Shaniwarwada there are about 125 openings. This eight km long duct opens out into several fountains, baths, wells and water tanks (Hauds). Some of these, such as the Kala Haud and the Nana Haud, were functional as late as the 1970s, but the PMC has forbidden the use of it as the water is no longer potable and could be hazardous. At that time, it is said, this water supply scheme was able to supply approx 29 lakh litres of water per day. Details of the underground water system is also mentioned in the book ‘Punyacha Pani Puravtha’ (meaning ‘Water Supply System of Pune’), published in 1914. But the exact location of the system, its origins, its exact route and the ancient system of filtration had always been a mystery and no serious efforts were done to find out the details. This Katraj water supply scheme played vital role as Pune was flooded when Panshet dam tumbled down in 1961. Today however, water from the Katraj reservoir is not potable and cannot be used as drinking water. Khadakwasla Dam in 1876, Pashan Dam and Mula-Mutha Bund in 1848. Now that I’ve presented all this info, I’m sure most of you didn’t know all this already. Did you? Because, it took me a lot of effort to find and confirm all these things. So, why not share this article with your friends and improve their knowledge of Pune as well? Click on the Share Button below and spread the word. You may also like to check out MY BOOK. This entry was posted in Pune, Research and tagged Katraj, Katraj Lake, Khadakwasla Dam, Peshwa, Peth, Pune, Shaniwarwada. Bookmark the permalink. “Two brothers set out on a journey to pursue their dream of being detectives when their childhood friend is beaten by a bunch” is how the book introduces you to the Nayak brothers. “The Valentine’s Day Clue”, first book by Rupali Rajopadhye Rotti, is an interesting read. It takes you to your college days when you dream to pursue your passion as a profession. Here, it’s a story of two young brothers and budding detectives who go through a series of dangerous yet thrilling events while working on their first case ever. The first half of the book introduces you to the mysterious events that happen in the city of Pune and in the lives of a few college friends including the Nayak brothers who want to get their first case solved, moreover for their childhood friend. Slowly they land themselves in a lot of trouble. Yet, their zeal and never-back-off attitude keeps them going in their struggle against a gang of crooks. The events start turning atrocious in the second half with the story becoming more intense before coming to the conclusion. This is a story, the first of the thriller series of Nayak Brothers, which keeps you glued to the book to know what, why and how of the happenings that take place in the lives of the characters. Rupali deserves appreciation for introducing us to a good thriller and for her successful attempt, this one being only her first book. If you are young(not by age, but by heart) and love thriller/detective stories, you don’t wanna miss this! PS: Puneites will especially like this book as they can correlate to the places and events that are mentioned in the book.